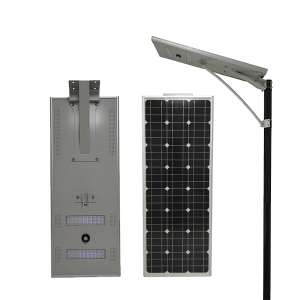 The all in one integrated solar LED street light converted electrical energy from sunshine with solar panels, and then charging the lithium batteries inside the all in one integrated solar LED street light. 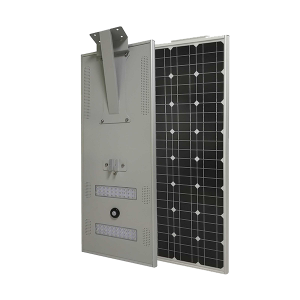 During the daytime, even on cloudy days, the solar panel collects and stores the required energy. 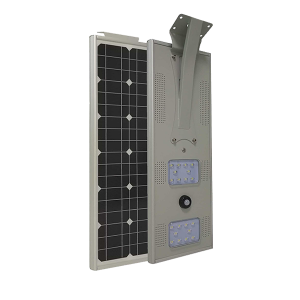 At night, it is automatically supply power to the LED chips of the integrated solar LED street lamp to achieve night lighting. 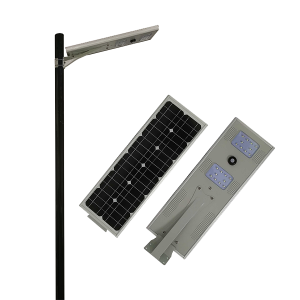 At the same time, the integrated solar LED street lamp has PIR body sensing function. The function can help to intelligent control all in one integrated solar LED street lamp’s working model by infrared sensing human body’s motion at night. 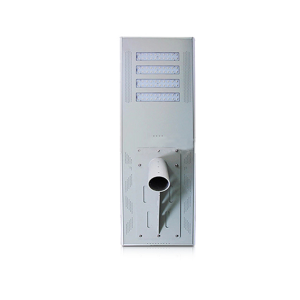 When someone is near, the lamp 100% bright, when there is no one, the lamp delays for a certain time, and then it will automatically switch to 1/3 brightness, which will save more energy. 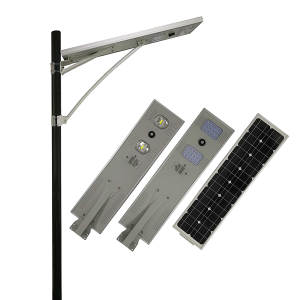 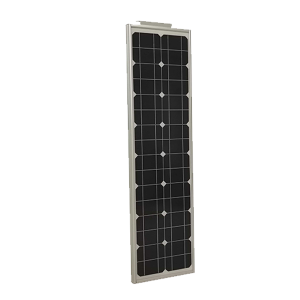 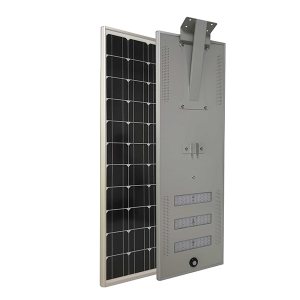 The all in one integrated solar LED street light is an integrated solar energy product. 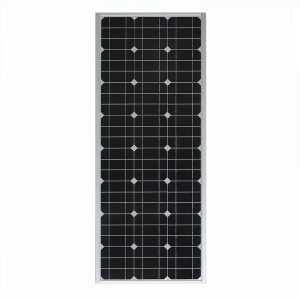 The simple shape combine the best green energy technology today: solar panel, super bright semiconductor LED light source, lithium ion battery. 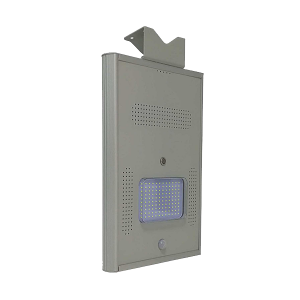 Equipped with a human body intelligent sensing system, it features low power consumption, long working time, high brightness, and 8 year maintenance-free. 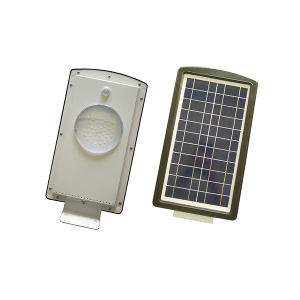 It was first invented in China in 2008 and is an innovative solar lighting product from China. 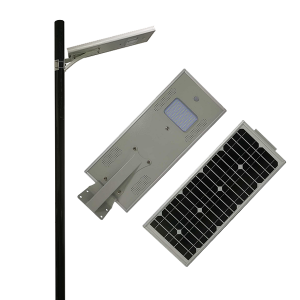 The main components of the all in one integrated solar LED street light working: high-efficiency solar panel, large-capacity lithium ion battery, microcomputer MPPT intelligent solar controller, high brightness LED chip, PIR body sensing probe, light pole and other parts. 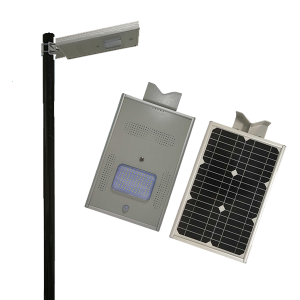 All in one integrated solar LED street light can be used for: traffic road lighting, auxiliary road lighting, residential road lighting, courtyard lighting, mining area lighting and lighitng for places difficult to get electricity, park lighting, parking lot lighting, rural area lighitng etc at night. 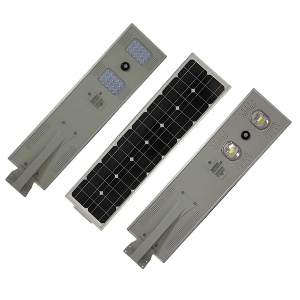 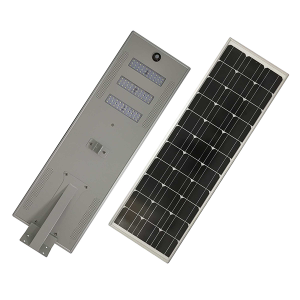 As it is combination of high-efficiency solar panels, long lifespan lithium batteries, high efficiency LEDs, intelligent solar controllers, as well as PIR body sensing module, lighting pole, integrated solar LED street lamps are simple to install and light in weight. 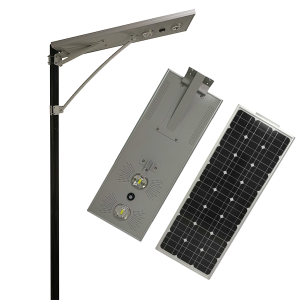 Generally, two workers only need a special wrench which comes with the all in one integrated solar LED street light kits to complete the installation within 5 minutes without need of any heavy equipment and tools. 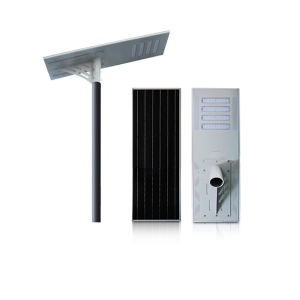 The integrated solar street light adopts integrated design, which is simple, fashionable, light and practical. 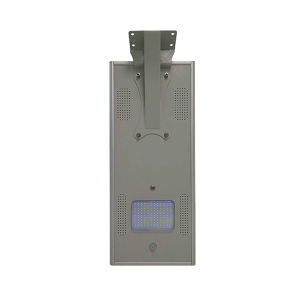 Shenzhen Juho lighting Co.,Ltd&Terled Lighting Limited has been engaged in developing, manufacturing, selling and serving of all in one integrated solar LED street lights for more than 7 years, our engineers have been working in this industry for more than 10 years, we have experienced workers in our factory, our factory strictly execute the ISO9001:2008 quality management system; besides , we have several all in one integrated solar LED street lighting molds ourselves, thus can ensure us offer the most stable and durable all in one solar LED street light at cheap price. 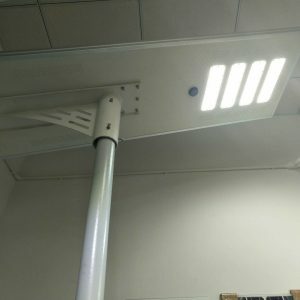 Throughout 7 years’ experience with professional outdoor lighting project customers, contractors ; we have build a good reputation in global market as well as our buyer outstanding in these lighting projects. 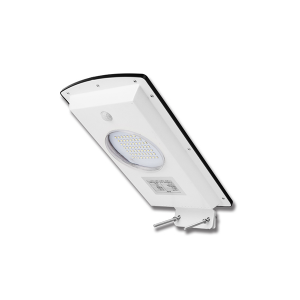 We have strong develop team to provide custom solution for different projects needs. 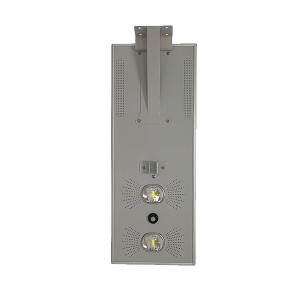 If you are looking for a reliable all in one solar LED street light supplier or factory in China, Juho lighting is the best choice for you.